Whatever sport you watch at some point the idea of competing alongside one of your favorite stars probably crossed your mind. Most sports do in fact have amateur leagues and regional organizations allowing you to join individually or together with friends and participate in various levels of competition. The same is true of Motocross. The best thing about Motocross is anyone regardless of skill and age can ride a dirt bike. It's all entirely up to you how hard you push yourself. But before you throw roost on a neighborhood MX track and try to be the local version of Ryan Villopoto it's always best to be prepared. Sure anyone can ride a dirt bike but not everyone is ready to blitz through the whoops and jump a triple. Motocross racing is one of the most demanding sports requiring strength, dexterity and determination. Heading to the track can be intimidating if it's your first time and simply riding a dirt bike to the level of being competitive can take a lot of practice. 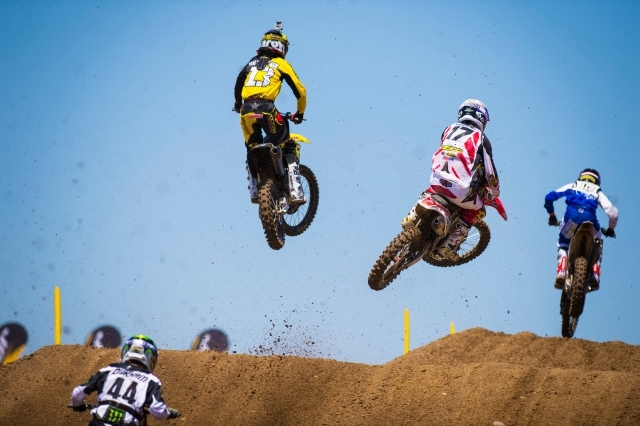 Speaking of practice - that's #1 on our list of 10 riding tips to get you motocross racing. There is truth in the old saying "Practice makes perfect." Riding on your bike makes you one with your bike. The best way to react to a given situation is to know how your bike is going to respond. Anticipating what's ahead of you goes a long way in whether a trouble area puts you in the dirt or lets you ride on by unscathed. The best way to learn is by doing. Get on your bike and ride. Perhaps one of the biggest reasons you wanted to get into motocross racing was watching all those high-flying jumps. They're not easy! Start slow and get comfortable launching a 300-plus pound bike (with you straddling it) into the air and then coming down upright on both tires and continuing through a series of whoops. You'll need arm and leg strength mixed in with some courage. But once you get it down - it's a blast! Cornering isn't simply taking a turn at high speed, it first starts with the approach, gliding through the turn and then exiting all while covering the brakes, throttle and the proper body position. Someone who knows how to corner well is typically at the front of the pack. If you've ever watched Motocross on TV one bad corner can set you back three or four spots and you'll never recover. For more information watch our How to: Corners with Ryan Hughes. Just what the heck are whoops? Consider them small mountains arranged side-by-side and you graze your bike across the top - real fast. The whoops pose some of the biggest danger as this is where a lot of riders wipe out. Upper arm strength and a tight leg grip are vital since your bike can huckabuck (think mechanical bull on your dirt bike), then you'll lose control and the bike shortly after. Whoops can be small allowing somewhat easy passage as you skim across the top or high and deep which gives even the most season rider their biggest challenge. 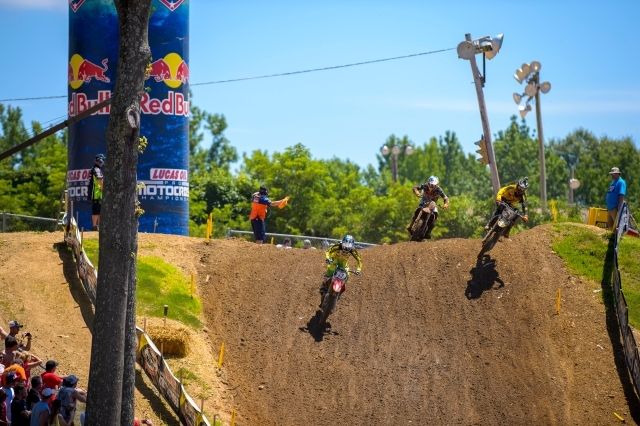 The key to whoops is slicing across the top touching only the peaks of the bumps along the track. Motocross races really consist of two races in one. 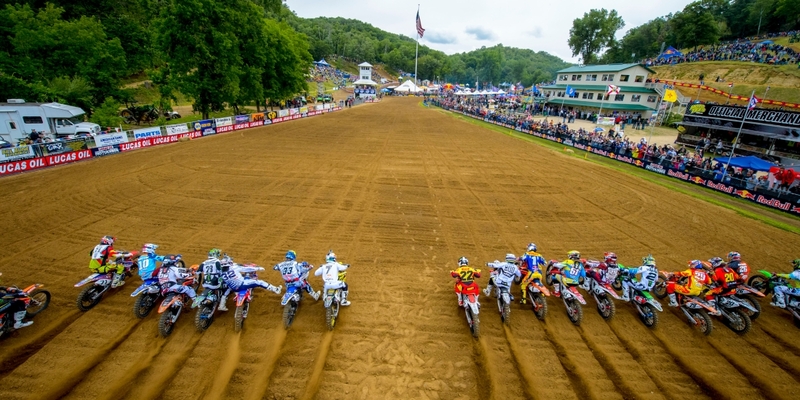 The first is winning the holeshot. Yes, there's sometimes a financial reward but winning puts you in a very enviable position. It's not easy passing another rider and if you win the holeshot and can stay upright, there's a chance you'll take the checkered flag all thanks to a great start. Rollers pose a similar challenge as the whoops but they are less likely to take you out. Where whoops are close together with high peaks and deeper valleys, rollers flatten out a bit and present a more gradual bump with a smaller peak. Rollers sometimes follow a corner and how you approach the rollers depends in part how you exit the corner. Rollers may not be as challenging as whoops but overconfidence can wipe you out quick. Rollers video. Not all tips to Motocross racing belong on the bike. Watch your favorite riders and even the ones you secretly smile at when they're scrambling around trying to get back on their bike after a crash. These guys are pro for a reason and know what they're doing. Watch how they approach the start, the first corner and everyone after that. They never hot dog it on a jump and you might need to hit the slow motion button to watch them rip through the whoops. A finely tuned bike wins races. After every ride you need to perform routine maintenance to keep your dirt bike running at its potential. Neglecting this vital element to dirt bike ownership at best results in a last place finish, at worst significant damage that may price you out of the next race. See our Routine Maintenance Guide for 2-strokes and 4-strokes. Motocross racing is exhausting both mentally and physically. If you've ever watched some of the documentaries on the vigorous exercises the top moto stars put themselves through you'll know that peak physical and mental performance is vital to life in motocross racing. Eat right, get plenty of rest and save your energy for the track. You'll need it. Just because you can ride a dirt bike doesn't mean you can easily transfer those skills to the MX track. If you plan to compete in local races start off in an easier class to see where you fit. Work your way up. You'll know right away whether you're in over your head and course officials may even have a chat with you post-race to encourage you to step up or step down depending on how you perform. 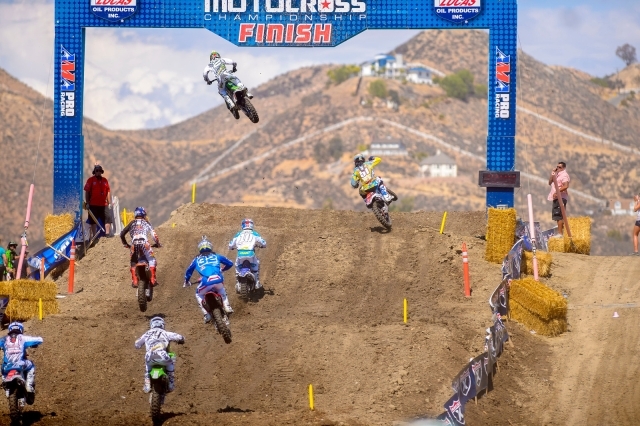 These 10 tips give you a start in your pursuit of racing motocross. Other riders may give you additional tips but know that as you compete and get better you'll master these tips and replace them with the next Top 10 designed to get you to the next level.